Find My iPhone is an app that is issued by Apple to help protect and locate your Apple iPhone if it is ever lost or stolen. 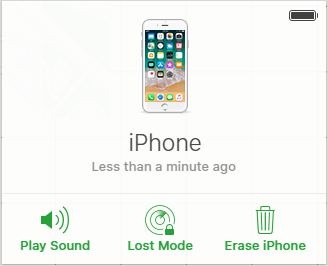 You can see the clear benefits associated with an app such as this, but when it comes time to sell or trade your device or when you got an iPhone with Find My iPhone turned on, it is something you will want to remove. Today we will discuss how to remove Find My iPhone from your device. One of the easiest ways to remove Find My iPhone is with an iCloud removal tool like iMyFone LockWiper . iMyFone LockWiper is a specialized software program that makes removing codes and passwords quick and simple. It can help you remove the Find My iPhone from your device with ease in just minutes. Remove Find My iPhone without a password from any iOS device. Remove Apple ID/iCloud account from iPhone, iPad and iPod touch. You can change or create a new Apple ID/iCloud account after remove Find My iPhone. You can enjoy all the iOS features and iCloud services on your device after the removal. 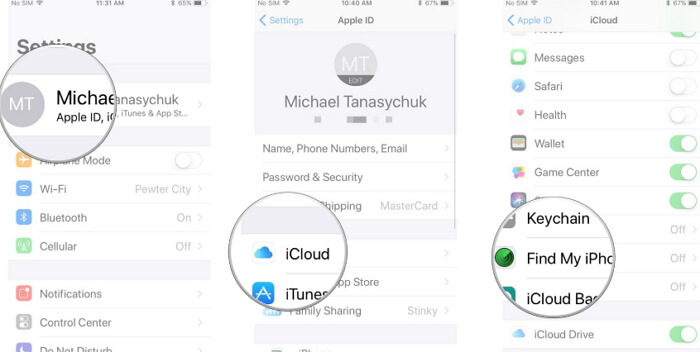 Remove iCloud Account from iPhone in just a few simple steps. Step 1. Download and launch iMyFone LockWiper and connect your device to computer. Step 2. Select “Unlock Apple ID” and then click “Start to Unlock” tab. Step 3. This will remove the Find My iPhone, as well as the Apple ID/iCloud account that is currently associated with your device. Step 4. When finished, it will successfully remove Find My iPhone on your device. Also, the Apple ID will be removed too. Note: Once you are finished, the Apple ID and iCloud account previously associated with the phone will no longer be activated. Please note, however, that iMyFone LockWiper only supports already activated devices. Step 1: On your iPhone, open “Settings”. Step 3: Select “Find My iPhone”. Step 4: Set Find My iPhone option to “off”. Step 5: When prompted, enter your Apple ID and click “Turn off”. If you have purchased your Apple iPhone from a previous owner and you want to remove Find My iPhone, you have two options. The first option is to use a iCloud removal tool like iMyFone LockWiper to remove passcodes and reset the phone. The second option is to contact the previous owner for help if you still have this option to go. Step 1: Ask previous owner to enter their Apple ID and passcode on Activation Lock Screen. Step 2: Remove the iPhone device from the previous owners account. Step 3: Go to Settings > General > Reset > Erase all content and settings. Please note, the previous user will have to enter their Apple ID and passcode to proceed. Step 1: Ask the previous owner to sign into iCloud.com using their Apple ID and password. Step 2: Tell them to select “Find My iPhone”. Step 3: At the top of the screen they will select “All Devices” and then will choose the device they need removed from iCloud. Step 4: Ask them to then click “Erase device” and then, “Remove from account”. In conclusion, there are several different ways that you can remove Find My iPhone. If you know the account ID and password, you can do it in a few simple steps with your iPhone. If you don’t know the Apple ID and Password associated with the account, you can ask the previous owner to help you, or use an advanced software program like iMyFone LockWiper .